From plasma-cut metal products to customer-designed fabrication...Alabama Iron Works has the knowledge and experience to handle any project. Owner Jim Trainer has worked for more than 30 years in the Marine Industry as a Professional Structural Designer, during which time he used sophisticated CAD software on a daily basis to design naval warships to precision accuracy. He has the capability to transfer digital images to a machine that can plasma cut any design onto sheet metal or a steel plate. If you don't have a design…Jim Trainer will work with you to create one, taking great pride in producing a product that represent his clients well. He will take your basic ideas, give a few suggestions and then send a proof copy for you to review before any cutting is done.This process may repeat several times until you are totally satisfied. All products are manufactured in Fairhope Alabama by experienced craftsmen, with all items put through a series of meticulous quality checks to make certain they exceed all expectations. We are a very customer oriented welding shop that offers custom fabrication service for everyone. Locally located in south Fairhope, we offer custom welding and fabrication solutions from commercial to residential projects. We have the experience and drive to make sure the end product exceeds your expectations. We build every project to your specifications, where the only true limitations really is your imagination. If you have any upcoming projects, please feel free to contact us at any time, and please visit our Facebook page to view some of our recent work. We are committed to providing you with the highest level of service, so you will always be happy you chose us. We will work hard to earn your business! Thanks for your interest in Vandalet Mailbox Co. – a manufacturer of quality custom iron mailbox posts. 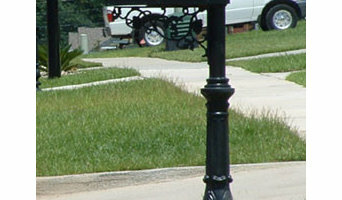 We take pride in creating exceptional iron mailbox posts, and offer quality, durable products with value. We offer the best iron and metal work services in the Atmore area. Please contact us for all of your ironwork needs! Fairhope Iron Works is committed to providing you with the highest quality welded products. We approach every project with a focus on eye appeal, functionality, cost, and structural integrity. Fairhope Iron Works has been designing unique and innovative structures. 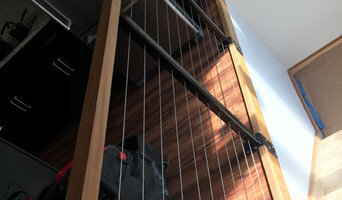 Each project is handled with unique perspective and integrity. 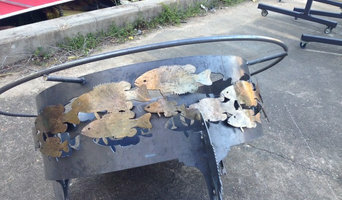 Fairhope Iron Works has established itself as a leader in the welding and fabricating industry. Ingenuity and an eye for solutions make Fairhope Iron Works the obvious choice for all your welding needs. An ornamental ironworker fabricates bulk iron into the types of structures that a particular home calls for, then installs them onsite. Some of these pieces are mass produced, others custom crafted. Many ornamental ironworkers also have the design skills to fashion unique decorative components. Ironworkers must be trained in safety to create elements such as railings and balconies that both satisfy a home’s aesthetic needs and meet Daphne, AL building codes. Here are some related professionals and vendors to complement the work of ironwork: Fencing & Gate Sales & Construction, Decks, Patios & Outdoor Enclosures, Siding & Exteriors. Find an ironworker on Houzz. 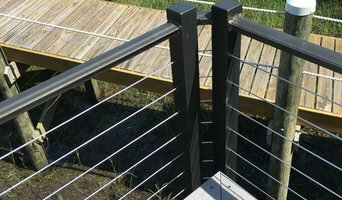 Narrow your search in the Professionals section of the website to Daphne, AL ironwork. You can also look through Daphne, AL photos to find examples of ironwork that you like, then contact the ironworker who fabricated them.